Trumpeter Chuck Seipp arrived to the Shenandoah University Conservatory of Music faculty fall of 2013 as Adjunct Associate Professor of Trumpet. He most recently was Visiting Assistant Professor of Trumpet at Texas Tech University from August 2012 to May 2013 and prior to that, performed extensively throughout the United States and abroad as a member of The United States Army Band, “Pershing’s Own” retiring in August 2012. Culminating his 32 year career with The Army Band as Concert Band Group Leader. Sergeant Major Seipp performed in national, presidential and historical world events as well as numerous significant ceremonies, concerts and special events in Washington, D.C. as well as funerals and wreath laying ceremonies at the Tomb of The Unknown Soldier in Arlington National Cemetery. He performed with the Concert Band, Orchestra, Ceremonial Band, Herald Trumpets, Brass Quintet and was featured as soloist with the Concert Band, Orchestra and Brass Band. 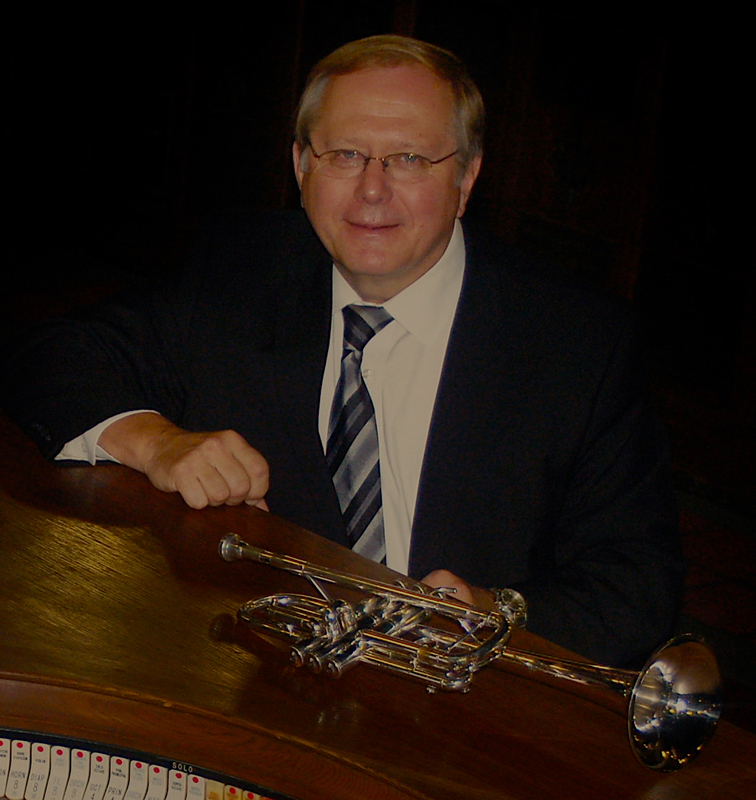 Chuck has toured and recorded solo trumpet and organ repertoire throughout Europe with world-renowned organist Diane Bish—appearing regularly on her “Joy of Music” television series as trumpet soloist as well as several performances with The U.S. Army Brass Quintet. Through CJ Seipp Music Publications, he markets his own brass arrangements, many of which have been played and recorded by the Canadian Brass Quintet, The U.S. Army Brass Quintet and many other groups around the world. Chuck collaborated with organist, Mary Mozelle, in a recording project of “The Wedding Book”, a collection of his own arrangements prove to be a valuable resource for organists and trumpet players nationally and internationally. Chuck enjoys performing across the country in concert with organist Randall Sheets, Arlington National Cemetery Ceremonial Organist, and looks forward to their recording projects. As an active teacher, soloist, clinician and performer; Chuck performed locally with the National Symphony, Orchestra, Washington Opera House Orchestra, Washington Ballet Orchestra, Washington Bach Consort, and leads The Commonwealth Brass Quintet. 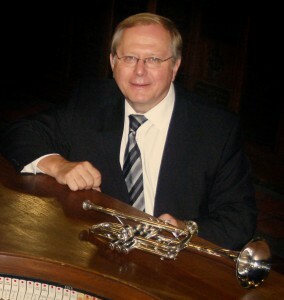 Chuck holds an Undergraduate Music Education degree from The University of Kansas and both Master and Doctoral degrees in Trumpet Performance from The Catholic University of America. Chuck and his wife Julie grew up in Akron, Iowa and are proud parents of five children and 4 grandchildren. Chuck is a Yamaha Performing Artist. Publishing is something I decided to do myself for a few reasons. I wanted to have control over my arrangements but I soon discovered there is a price a person pays for that. Making the music presentable for purchase, using Finale in my case, was a big job and learning curve as all my music was in manuscript. Then the process of purchasing high quality paper from a distributor, then to the printer to be reproduced at the best resolution possible. Printing can be done at Kinkos but not on the do-it-yourself printers you see when you walk in the door. The machines the technicians operate, which can mass produce at high quality, are the ones necessary for a professional-looking product. Then it’s advertising and the challenge making the music available to the public. However, the biggest reason for publishing my own arrangements was for direct contact with people. I really wanted to have contact with the musicians that were purchasing and performing my arrangements. I have enjoyed meeting and talking with many talented musicians through this process. I have directly reached more people personally and feel that could be an advantage in the pursuit of a future teaching position. So, it is what you put into it, but I feel I get back much more by publishing myself. If self-publishing would not have been my desire, I would have been challenged with finding a publisher interested in my arrangements. It’s then the publisher’s job to produce, advertise and ultimately pay 10% of the list price to the arranger of the year’s sales for those arrangements. I also felt there was risk of my music not being made available or promoted, which is totally dependent on the publisher. This is one reason why I chose to have control over my own arrangements and publish them myself. It is quite a job which requires an investment of time and money for my music to have opportunity to make it available to the public. Publishing my own music was a challenging adventure that happened with a great deal of help and encouragement from many colleagues, especially my good friend and panel member Douglas Richard.